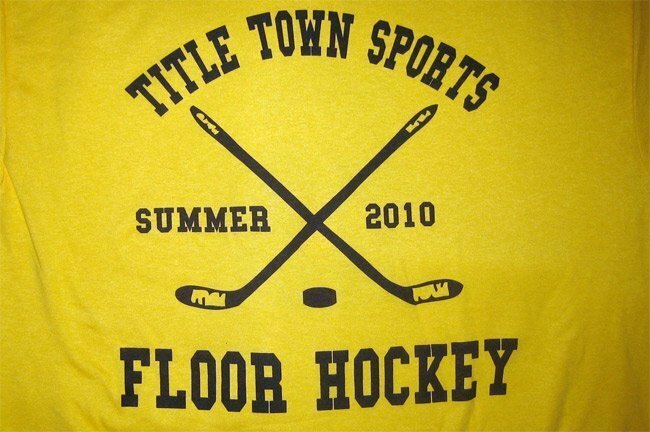 Colorful custom t-shirts became a staple for Title Town Sports, a floor hockey league in Newton, MA. 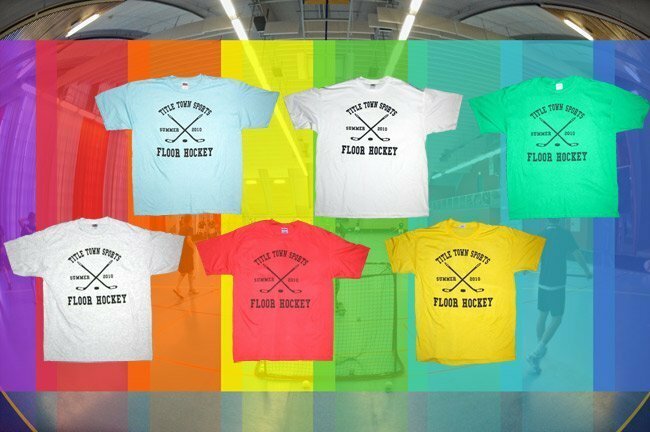 Each season they came to us to screen print their classic “two hockey sticks and a puck” logo on a never-ending array of colors. 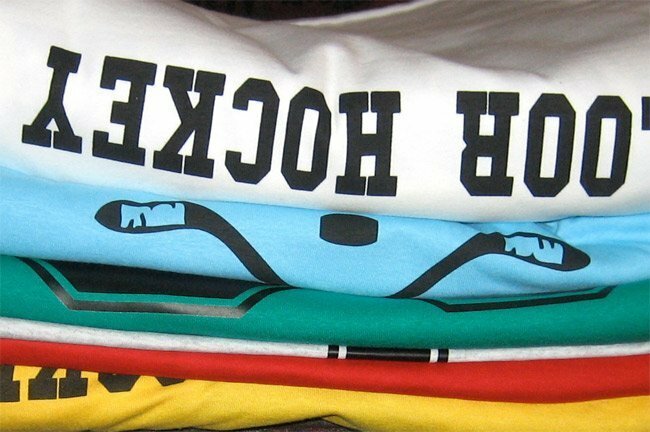 We were happy to work with them to find new t-shirt colors to use and to add in the odd color from a past year. 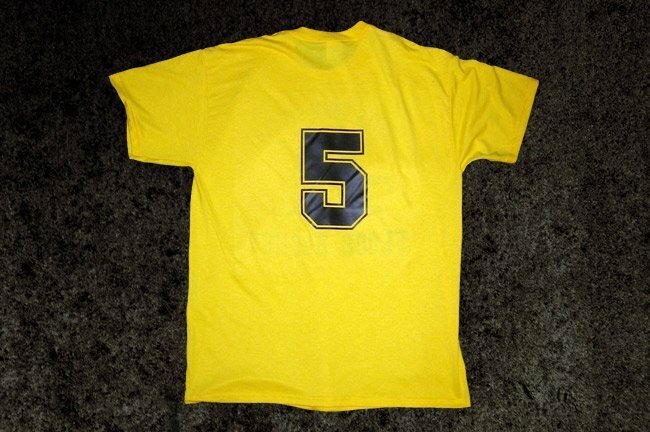 If a new player joined an old team or someone lost their jersey we could screen print just one of that version as part of the league’s overall order. 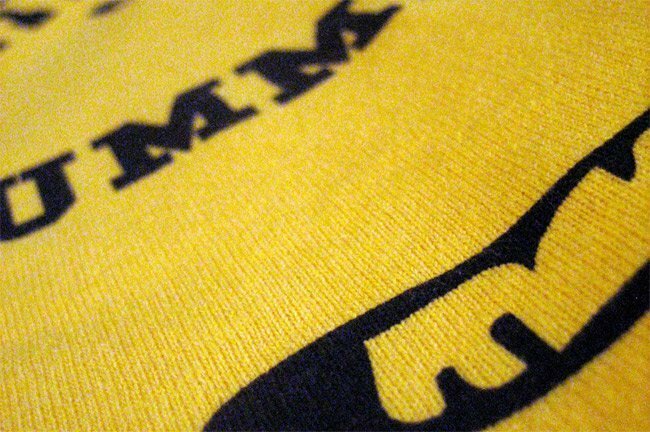 We also worked with them to make their special Champions Tees for each season’s winners. 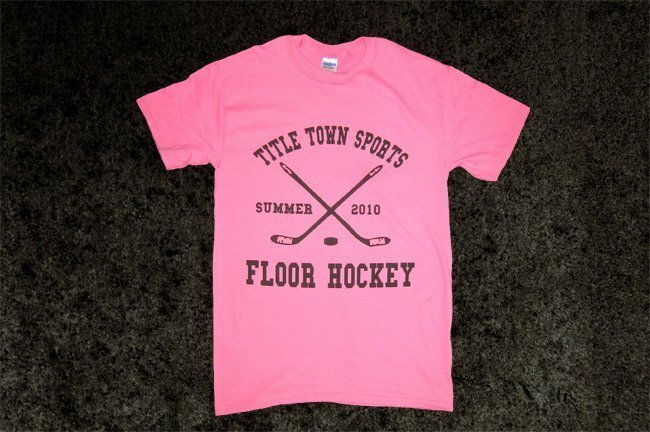 Whether they wanted traditional cotton t-shirts or moisture-wicking performance polyester tees, Title Town Sports always had some of the best looking hardest working screen printed athletic tees around.